Everyone who considers getting a basic tablet for the lowest possible price adds Amazon Fire to a wish list sooner or later. It’s because the Fire is a few times cheaper than the corresponding model from Apple or Samsung. On the other hand, it’s not a no-name device, like many other tablets priced below $100. It’s sold by a well-known internet giant, the same company that offers solid and reliable Kindle e-readers or popular Echo smart speakers. If you think about getting a reasonably-priced tablet for basic tasks like web surfing, checking emails, or watching movies, the Fire is a natural and justified choice. You get the device that connects you to a familiar shopping platform, at a price ranging between $50 and $200. With the price of the smallest 7-inch model going under $30 during Prime Day or Black Friday, the Fire often lands in the shopping basket as an extra item and can land on your sofa even within a few hours. 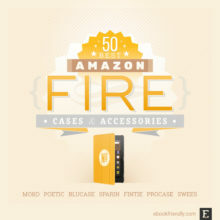 Amazon Fire is extremely easy to buy. Is it easy to use? Read on to compare its features and limitations with your expectations. 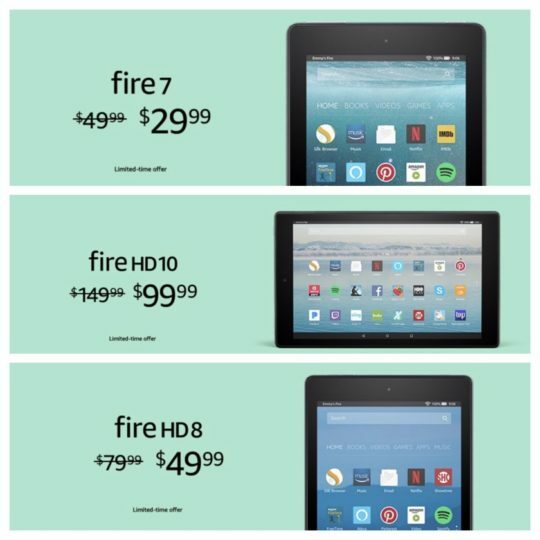 If you bought Kindle Fire HDX some time ago, you might think “Oh, the new Fire is the same but cheaper.” Think twice. 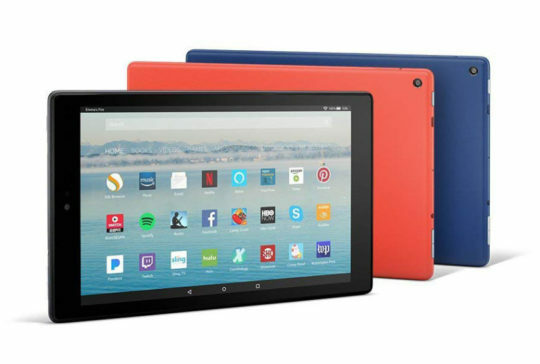 Amazon Fire is cheaper than its Kindle Fire predecessor not because Amazon sells it with no profit, but because the Fire tablet today offers technical specifications that were up to date one or two generations back. 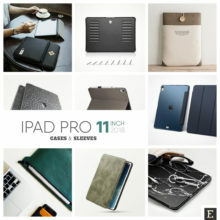 Don’t expect the high-end display. The cameras are usually disappointing. The processor won’t make you feel the tablet is fast. Internal memory is generally not sufficient – at some point, you will consider extending it by the memory card. 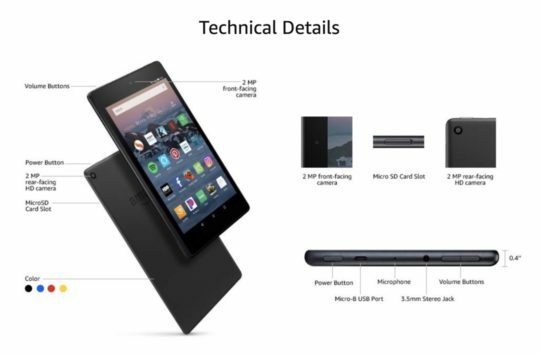 Tech specs of new Amazon Fire models make them useful in the first months after the launch. With every update of the operating system, the tablet’s performance is visibly deteriorating. It may turn out that after a year it’s hardly possible to use the Fire, although it is in an excellent physical condition. Loading the home screen or single apps may take ages. 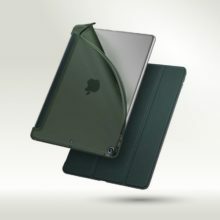 The tablet may stall or respond after a few seconds. You may notice the battery gets drained extremely fast. Several companies offer devices with customized operating systems based on Google’s Android. Nook does it, Samsung does it, and Amazon also does it. Custom operating systems are designed to integrate with the platform, put the user’s profile in the center, and create stronger ways to promote store content. But Amazon modifies its system – Fire OS – much deeper than others. From the user’s point of view, it’s not Android any longer. The system is Amazon-centric and lacks features that are essential for many Android users. If you own an Android smartphone and want a tablet that would seamlessly sync your content, the Amazon Fire is not for you. 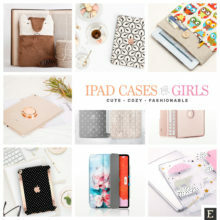 Other platforms, for instance, Nook, offer in their custom systems access to Google services and apps. Amazon kicks off from the Fire OS almost everything that’s related to Google. And that makes a huge difference. 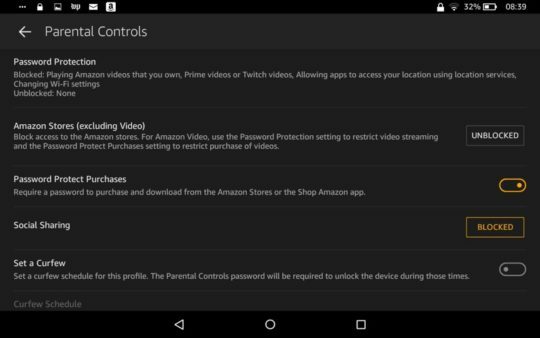 On the Amazon Fire tablet, you won’t be able to access and download apps from Google Play Store – because there is no Google Play Store app. 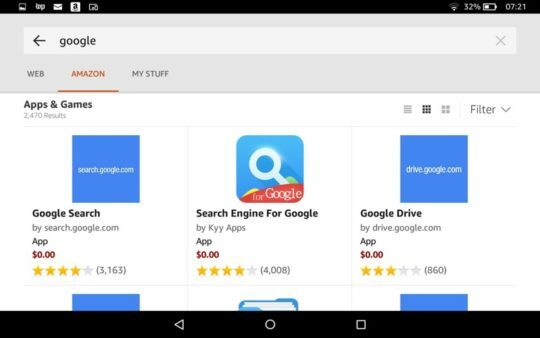 Amazon’s App Store offers “Google Keep,” “Google Docs,” or “Google Photos” but they are not mobile apps developed by Google. They are web instances of these services – not a good solution for a dedicated user of Google services. If you use only the most popular Google services, like Gmail or Calendar, you can still connect these services to the Fire’s native mail and calendar app. For a more advanced integration with Google services, you will need to sideload the Google Play Store to your Amazon Fire. It doesn’t sound like the most convenient solution. Amazon Fire tablets come with the microSD card slot. It’s one of their most significant benefits, especially that the internal memory is rather small. A tablet with the 8 GB storage option leaves below 5 GB for the user. An operating system uses the rest. 5 GB is a couple of games, audiobooks, and movies. I bet you plan to download and use much more than that. That’s why many Amazon Fire users buy memory cards together with other accessories. What you have to remember, however, is that microSD cards can be more expensive than the tablet. The cards capable of storing 400 GB cost no less than $100. The Fire tablet is Amazon-centric to the point that accessing content bought or downloaded somewhere else is annoyingly difficult. It’s harder than on the Kindle or in the Kindle app for Android or iOS. If you want to add a free ebook from Project Gutenberg to your Kindle app for iPhone/iPad, it will land in your library in the Docs section. You can immediately read the sideloaded book, add it to the collection, or archive. If you send the same book to your Fire, you won’t see it in the Kindle app. You will need to open Docs app, find the book, tap it – and only then it will be opened in the Kindle app. The same frustrating approach is used for other digital content: music or videos. Devoted apps will only manage the content purchased on Amazon. With the rest, you have to use the file manager. 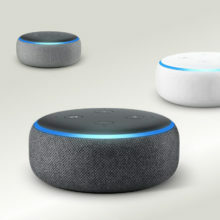 Voice-activated assistants are the future of man-machine communication, and Amazon has developed its own system called Alexa. 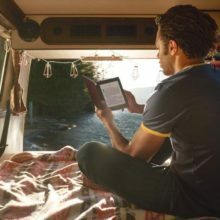 You can enable Alexa on the Fire tablet easily, and start getting news or weather forecast, set timers, or begin playing audiobooks with just your voice. 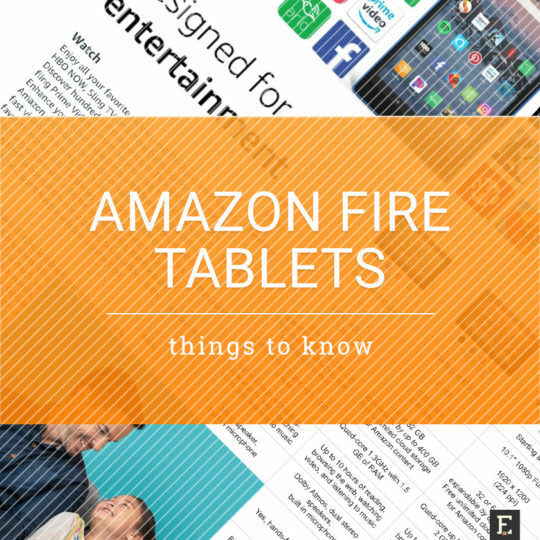 Amazon Fire tablets released in 2017 or later are ready for hands-free Alexa. It means you can activate the voice assistant without the need to press the home button. 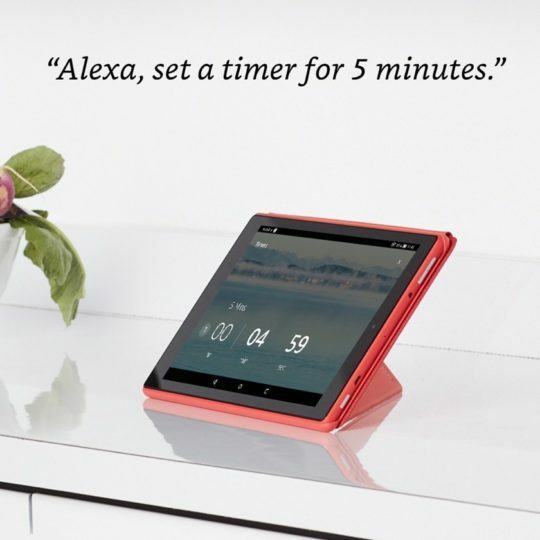 With hands-free Alexa, every Fire tablet can be a reliable alternative to Echo smart speaker. You can use your Fire to test whether Alexa is your thing. It’s a good idea if you plan to invest in a set of Echo speakers for your home. Think of ways of using the Fire while it’s standing on a kitchen desk or a bedside table. The only thing to do is to leave it open in a standing case or use a special Show Mode Charging Dock. When you add possibilities a display gives, you will find a lot more fun using the Fire. Enable Show Mode on your Fire, and you will see from the across the room all visual responses provided by Alexa. It could be a weather forecast, a reminder, a song lyrics, or a definition of the word. Why buy Echo Show (Amazon’s most advanced smart speaker, the one with the 7-inch display) if you can use your current Amazon Fire tablet? 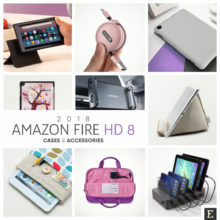 If you shop on Amazon from time to time, you know the company’s devices are being offered at reduced prices a few times a year. The biggest price cuts are offered for Prime Day and Cyber Monday, but you can buy cheaper Kindle, Fire, or Echo before Valentine’s or Mother’s Day, or during National Reading Month. If you can wait a few weeks for the next Amazon Fire deal, do it. Saving $10, $20, or $50 on the Fire would give you the reason to buy a better case cover, a microSD card with the bigger memory, or an extra screen protector. 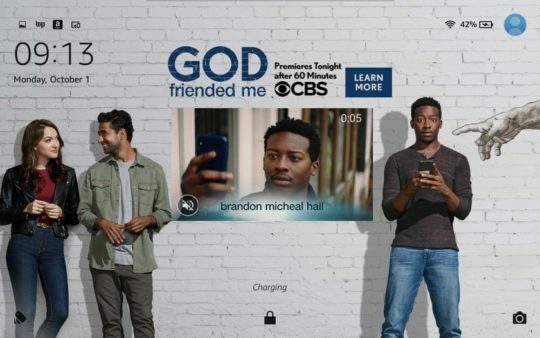 Amazon Fire tablets are not available in versions with 3G or 4G connectivity. You will have access to the web if you connect your Fire to a Wi-Fi network at home, or use your smartphone as a personal hotspot. 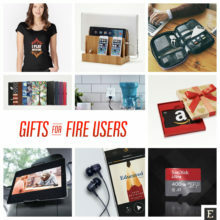 The operating system on the Amazon Fire was modified not only to give users a more convenient way to manage the purchased content but also – or most importantly – to sell more content. Think of the Fire as a shop assistant who is using every single opportunity to sell you something – whether you need it or not. Even the version without special offers (full-screen ads displayed when you wake or unlock the device) will trick you into buying something. 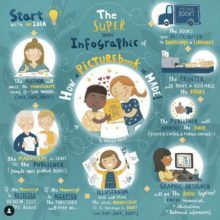 Amazon’s apps for managing digital stuff – for instance, Kindle or Videos – display the mixed content: something you own and something you don’t own yet. You can easily get confused. Tap the wrong button or icon, and if you have the 1-Click option enabled for your account, this accidental tap may end up in buying the game you would never play or start a subscription you don’t need. Things get easier if you are subscribed to Amazon Prime. 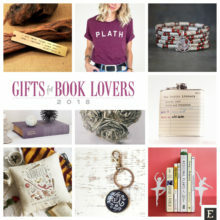 This multi-benefit membership program gives you unlimited access to Prime Videos and Music, or a selection of Amazon Prime Reading books, audiobooks, and magazines. In this case, the Fire is more a discovery tool than a shop assistant, because most of the stuff is available for the Prime member for free, anyway. Amazon Fire is affordable. Affordable enough you won’t cry if your kid breaks its screen a week after unboxing. The tablet is useful when it comes to basic needs, such as checking emails, reading news or books, watching movies, playing games, or listening to audiobooks. Ability to create multiple profiles as well as advanced parental controls enable you to adjust the tablet to the needs of every member of your family. An entertainment device that can be shared between family members – Amazon Fire seems to be invented for this kind of use. Many people buy mobile devices not only for entertainment but also to use them as a learning tool. Yes, you can read a Kindle textbook on the Amazon Fire. 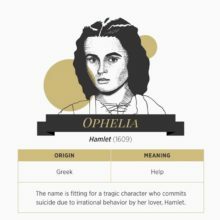 You can look for a definition in the dictionary, or check out Wikipedia any time or search the web for the topic, but the possibilities are basically limited to these options. There are not as many and as good educational apps in the Amazon App Store, compared to Android or iPad/iPhone. You won’t have access (or at least: easy access) to Google’s productivity apps: Keep, Docs, Slides, Sheets, or Classroom. Therefore, thinking of Amazon Fire primarily as a learning device is not justified. 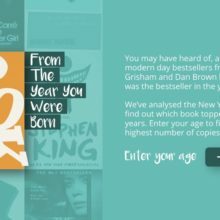 Kindle and Fire software updates – if you want to determine your software version or download the latest software manually.